posts of Veterinary Assistant Surgeon. Suitable and best fit participants must apply online by depositing the application latest by final date. Eligible and goal oriented appliers are advised to visit the official website of Jammu And Kashmir PSC to apply online. If form deposited completely then you must bust in preparation to pass test and interview for applied post. Before apply you are advised to read this article. Further guidelines in relation with process to apply successfully for JKPSC Recruitment are declared below by the team members of ejobhub for the visitors of this portal to help them. All candidates should read about the steps to fill form and then submit checked form on or before last date that is 23 January 2019. Friends you need to have passion for career to select. 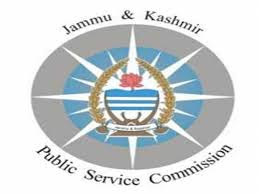 More jobs in JKPSC can be available for all by visiting the official website of Jammu And Kashmir Public Service Commission that is jkpsc.nic.in. Now you can also get other parts / qualifications jobs using this portal. All the best! b) He holds a Bachelor’s Degree in Veterinary Sciences & Animal Husbandry. Recruitment Process: Selection of appliers will be made on basis of performance in Exam and Personal Interview. Appliers must visit the official site of Jammu & Kashmir Public Service Commission which is www.jkpsc.nic.in. From homepage go to what’s New section. Read details and go to “Apply Online” Link. Fill the application form and upload their recent scanned passport size photograph and signature in prescribed size. Don’t miss to get print out of submitted form and keep it safe to show at the time of interview.